September 19, 2016 0 comments on "Canning Applesauce"
I’ve been waiting for apples to be in season. Here in the Pacific Northwest, we live in the Apple Capital of the world. Every year I can’t wait to start canning applesauce. It’s one of my favorite apple canning recipes. This week I drove out to one of our local produce stands and was able to purchase a 20 lb box of Gala apples for $9.95, which is .50 a pound. These aren’t the same polished apples you see at the grocery store. These are straight off the tree. Gala apples are great for cooking. They are a little tart but also a little sweet. 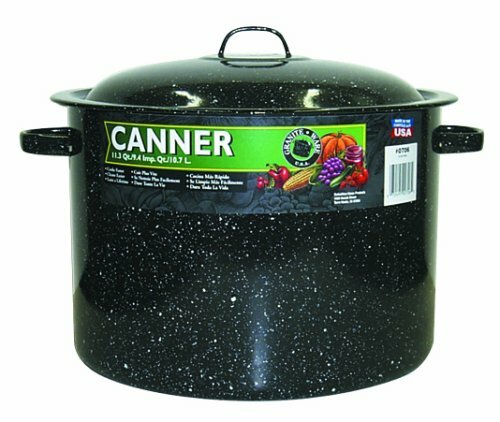 They are great for making apple pies, applesauce, and apple butter. This week I started by making applesauce. Stay tuned for next week when I try my hand at making and canning apple pie filling! When making homemade applesauce, you will find that you need quite a few apples to make a little bit of applesauce. One of my 20 lb boxes of apples cooked down into 5 pints of applesauce! When you taste the result, however, you will find that it is worth making. To make applesauce, you first need to peel, core, and slice the apples. This takes a little time. 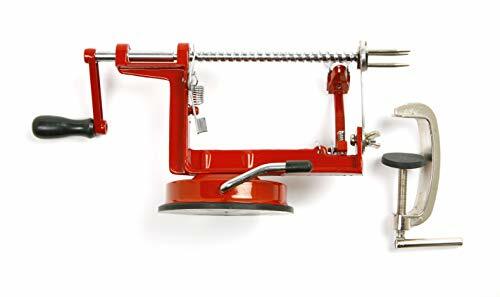 You can save a lot of time by using an apple peeler like the Apple Master. As you prepare the apples, place them in a large heavy sauce pan to simmer. Add a little water to keep the apples from sticking to the bottom of the pan. Stir the apples often. As they start to soften, you can mash them down with a potato masher. If you like chunky applesauce, you just continue cooking the apples this way until they are the consistency you want, continuing to add water if necessary. While the apples are cooking down, you can start adding sugar and spices. 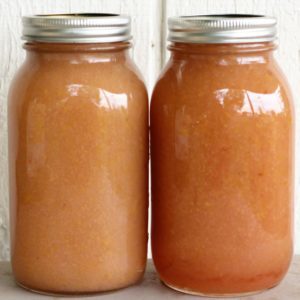 If you want unsweetened applesauce, it is not necessary to add anything extra to the apples, but most people like a little added sugar and/or cinnamon. You can use honey, white sugar, or brown sugar to sweeten your applesauce. Just add a little at a time until you get the sweetness you desire. We like extra cinnamon in our applesauce, so I ended up adding a couple of tablespoons of cinnamon to my pot of apples. In fact I still have my mother’s colander that she made applesauce with when I was a child. I found a more updated product called a food mill . This handy gadget is great for making applesauce, as well sauces and syrups. When the applesauce is done, if you are going to be canning it you will need to get your jars and lids ready for processing. My 20 lb box apples cooked down into enough applesauce to pour into 5 pint jars, so that’s how many jars I needed to get ready. 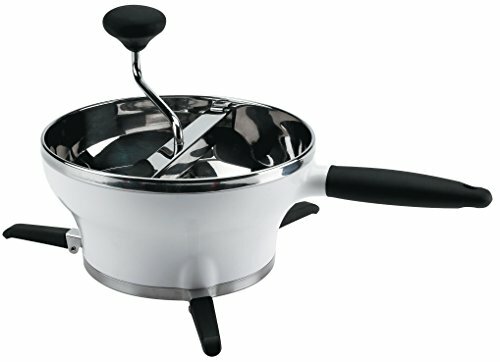 Get your boiling water canner filled with water and start the water boiling on the stove. Carefully pour the heated applesauce into the prepared canning jars, leaving 1/2 inch headspace. Wipe any applesauce from the rims of the jars with a damp cloth and place the lids and rings on the jars, tightening the rings. 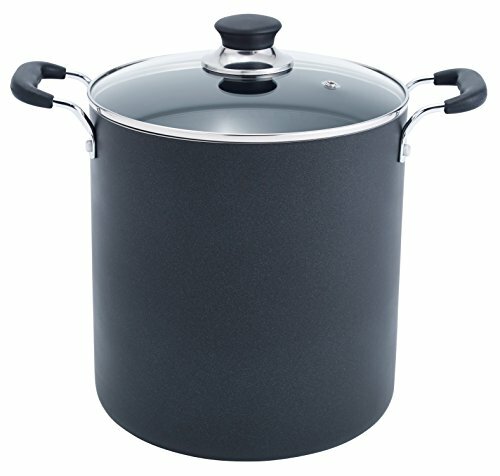 Process the jars in a boiling water canner for 15 minutes, 20 minutes if you are using quart jars. Carefully remove jars from boiling water and let them cool on a towel on the counter. After they are cool, test the seals to make sure the jars sealed after processing. After I spent the several hours necessary to make the applesauce, I questioned whether it was worth all the effort! When I tasted it again, I decided that indeed it was worth the effort. When compared to store bought applesauce, there is no comparison! 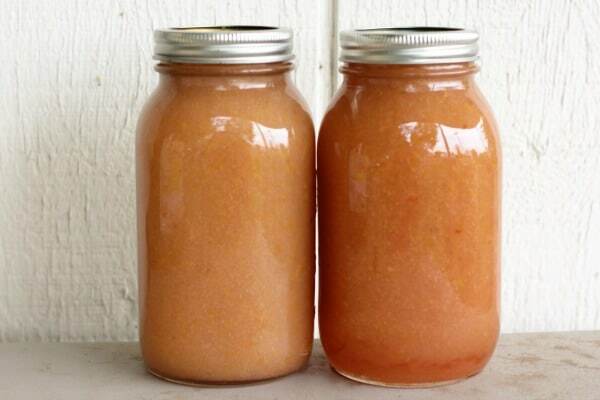 Homemade applesauce is easy to make. It takes a little work, but it is well worth the effort.